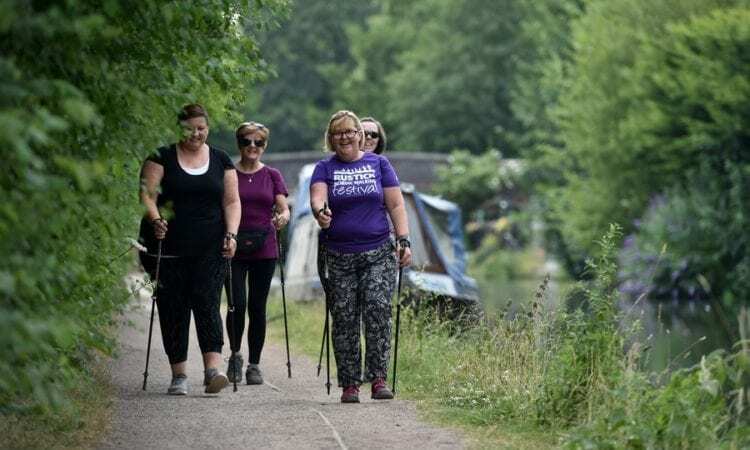 A NORDIC walking group is using the canal towpath in Hemel Hempstead as a way to keep fit and help local people walk themselves back to health. The weekly sessions, which are run by occupational therapist and Nordic walking leader Jacqueline Smith, are supported by Canal & River Trust and involve walking up to six miles along the towpath. The Wellbeing Walk is designed to improve the health and wellbeing of local people by getting them active and spending some time outdoors. Nordic walking was designed to get the whole body moving. Using poles similar to ski poles, walkers propel themselves forward working harder than they normally would. This style of walking is easy on the joints, suitable for all fitness levels and turns a walk into a whole body work out. The group meets three times a week and is open to anyone who wants to give it a try. Recent research by CRT shows that being outside next to water is good for you, so this activity is perfect for anyone who wants to improve their physical health or mental wellbeing. To join Jacqueline’s Nordic walking group visit http://hemelnordicwalking.co.uk/ Each walk costs between £5 and £8 per person.